Just as Brexit left many British expats considering the option of Spanish nationality, will Trump's victory send Americans seeking refuge abroad? Here's what you need to know to become a Spanish citizen. Spain currently offers a 'golden visa' program for property owners. This is a form of investor's visa. If you invest more than EUR 500,000 in Spanish property, buying one or more properties, you will normally then be automatically eligible for a residency visa. This is not a work permit, but it will allow you to live in the country. It's primarily aimed at retired people and holiday home buyers. Many Americans living in Spain have expressed their horror and disappointment on Wednesday morning as they woke to the news from across the pond that Donald Trump would be the 45th president of the United States. But is the prospect of a Trump presidency at home enough to make them want to renounce their US passport? Here's what you need to know if you are already considering Spanish citizenship. 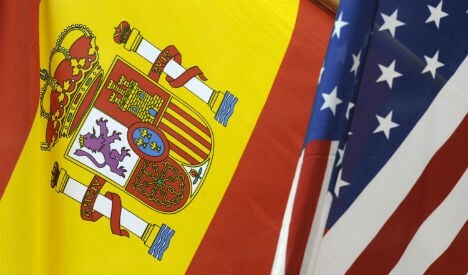 Becoming a Spanish citizen requires giving up your US nationality and passport. According to Spain’s Foreign Office applicants must prove “good citizenship” and “a sufficient degree of integration in Spanish society” - which includes being able to speak Spanish and taking part in social activities with Spaniards. Applications must be submitted to the Civil Registry of the place of residence. Once you have been approved, you have to swear your loyalty to the King and promise to obey the Spanish constitution and laws. You also have to renounce your previous nationality. Factors to be aware of when buying Spanish property include property scams, high capital gains tax, and fluctuations in the Spanish property market. The Spanish property market has many quirks, and it pays to do your own property market research before buying a house in Spain. Knowing what to expect when buying a property in Spain can help reduce any pitfalls of setting up your life abroad. Spain has been badly affected by the global financial crisis and a property market crash. Since 2008, Spanish property prices have fallen by 30 percent overall, with some regions even worse off. Individual properties are selling for as little as half their 2007 price. Property prices remain low and are falling, which means that although the price drop can be a boon to new arrivals, making property more affordable, there is a strong risk that your home will lose value before the market picks up again. Over 80 percent of Spanish residents own their own home, with around 50 percent of the population owning their home outright, without a mortgage. As many sellers are looking to recoup as much of their investment as possible, haggling can be drawn out and the market slow. However, with few buyers around, you may find you have your pick of bargains. Should you rent or buy in Spain? Rental opportunities can be limited in Spain as people prefer to buy, and with property prices low you may find you have more choice to buy than to rent. That said, prices for desirable, convenient, city centre properties are similar to those in other European countries such as Germany, Belgium or Ireland, although prices are predicted to fall further in 2014. Waiting may allow you to buy at a better price and in a more stable market. The transaction costs of buying and selling a property in Spain are moderate, at around 15 percent of the property value. This means that even if property prices rise during your stay, you'll probably need to live in the property for around three years to come out ahead in a strictly financial sense. Are foreigners allowed to buy property in Spain? Yes. There are no restrictions on buying property in Spain, whether it's commercial, residential or land. In fact, Spain encourages investment by foreigners, both resident and non-resident. You will require a financial number which can acquire by visiting a police station with your passport. This is typically done on the day for Spanish or EU citizens but may take a few weeks for others. As it is easy for foreigners to buy property in Spain, there are websites and estate agents catering to almost every language and nationality. Many British real estate websites also list Spanish properties, with some online portals listing thousands of options. However, these mostly focus on holiday homes, so you may prefer to use a Spanish site, such as the ones listed below. As you don't need to be resident to purchase a property, it is possible to buy a home before you arrive and move in directly. However, this naturally comes with certain risks and we strongly recommend that you view the property you are considering and don't cut corners on the process, even if this means spending some weeks in a hotel when you arrive. As estate agents are typically paid by the seller, there's a strong advantage to using them for buyers. Estate agents can often provide detailed information about the region or city you're considering. Many are bilingual and accustomed to dealing with overseas buyers. However, regulation is relatively low and unscrupulous estate agents do exist. Be wary of anyone who asks for payments upfront or suggests cutting corners. Always remember that you can choose your own notary, mortgage provider and so forth – you do not need to use a service suggested by the estate agent.